San Juan Del Sur is result of hard-work and faith of Claudia and her team. 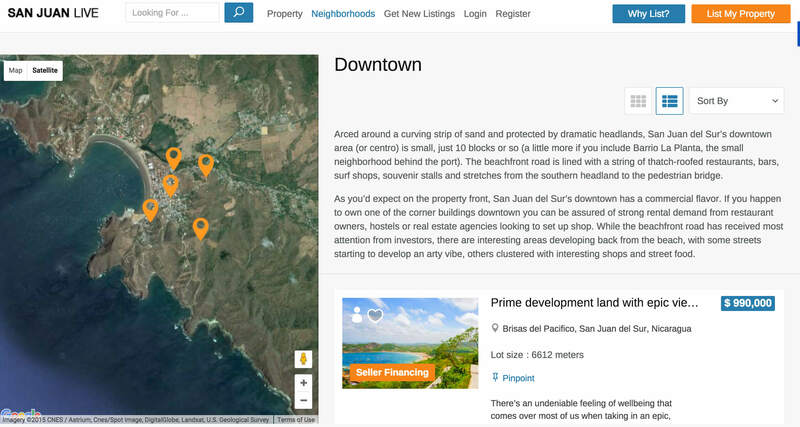 They created a real estate directory site for Nicaragua properties using SpotFinder Directory theme. Claudia has shared her story of setting up this business with us that we’d like to share with you all. A buyer looking for property in Nicaragua presses the big orange “Contact Seller” button on a property listing page and fills out the form. Whoosh… The Seller receives an email. A successful connection is made. The negotiations begin. That, right there, is what our site is all about. But a successful connection between a buyer looking for property and an owner with property to sell doesn’t happen automatically. It’s not enough to simply launch a real estate listing site and call it a day. This is especially true if you’re covering a real estate market that’s small, unfamiliar to most buyers and not centrally managed. 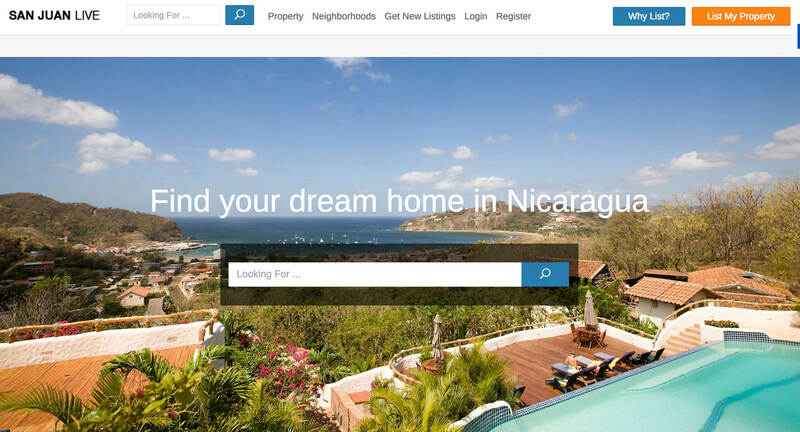 We knew at the outset, months before launching the site, that to enable successful connections in the Nicaragua real estate market we would need to do more than simply put up a listing site. Good design is not just how a website looks; it’s how it works. 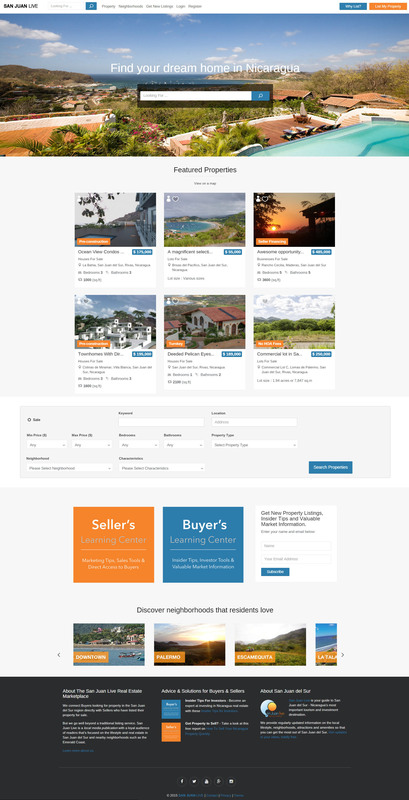 We chose Spotfinder powered by Directory (with the Real Estate Add-on) because a meaningful website design works to engage buyers and the listing backend is easy for sellers to use. Spotfinder’s home page allows for a search box in the middle of the screen, overlaying a compelling photo. This is always a good layout for a real estate site – one that immediately draws the buyer closer. A good amount of our traffic comes to the site via a category page – we have neighborhood and property type categories – and we needed a theme that can deliver a landing page feel to these visitors. On the left there’s a map that self populates with markers showing property locations. On the right is a list of properties laid out like a menu of choices. That’s it. No footer. No other distractions. 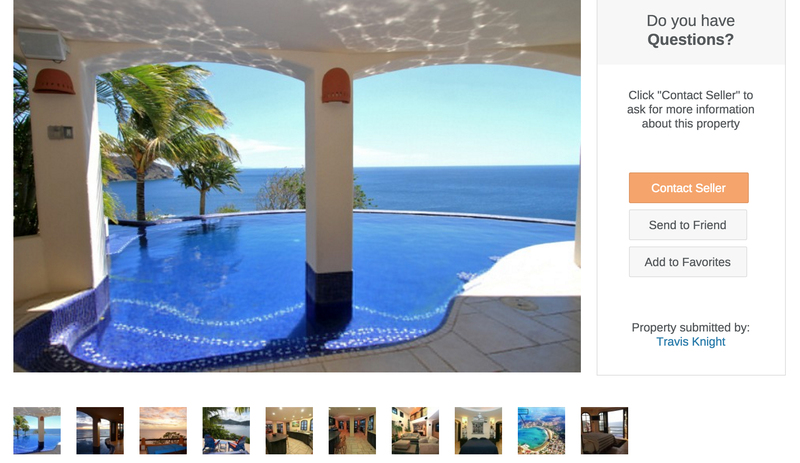 It’s a layout that we’re seeing on more and more of the best real estate sites. It was vital that the site would look just as good whatever device our buyers would be using. As Spotfinder is a responsive theme, it provides an “app-like” experience for the user whether they’re on a laptop, mobile phone or tablet. Different size of property has different set of requirement and marketing budgets. Defining packages helped users to choose the appropriate package for themselves. New users start with smaller packages and eventually invest more. Help them invest safe. Spotfinder delivered on design and then we took several more steps with our content. We created Buyer and Seller Learning Centers packed full of valuable market information, tools, videos and PDF reports. We also produce articles, videos and reports about local events, the restaurant scene, the best neighborhoods to live in, the best beaches, the actual cost of living, outdoor recreation, charity events, schools, shopping, relocation advice and human interest stories about the people who actually live in Nicaragua. And we collect subscribers. 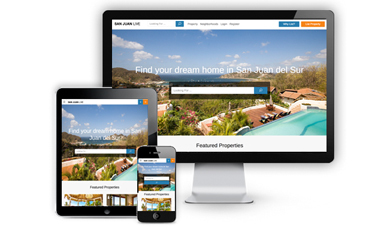 We use the Templatic newsletter widget on the home page of the real estate site and also have sign up forms on our main site at San Juan Live where people can opt-in to learn more about Nicaragua. We’ve built something worth talking about. We already have over 6,500 Facebook likes and our permission-based mailing lists are growing quickly. 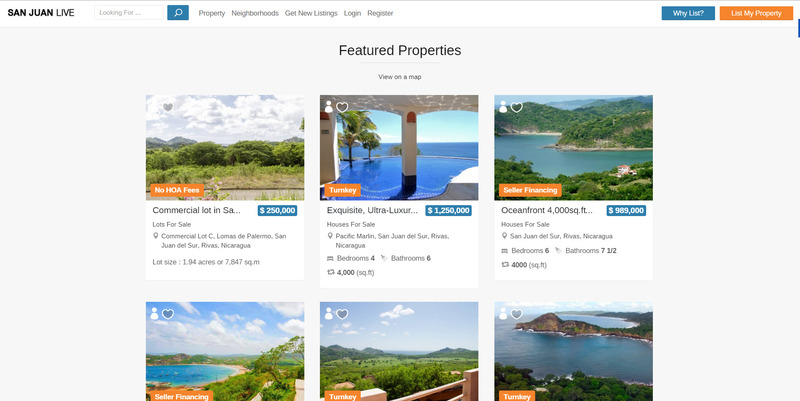 The property listings are getting noticed because they’re positioned within a broader media approach to San Juan Del Sur that includes in depth lifestyle information about the area. Besides we help them understand appropriate reasons why they should list with us. And yes, we’re connecting buyers with sellers every day. 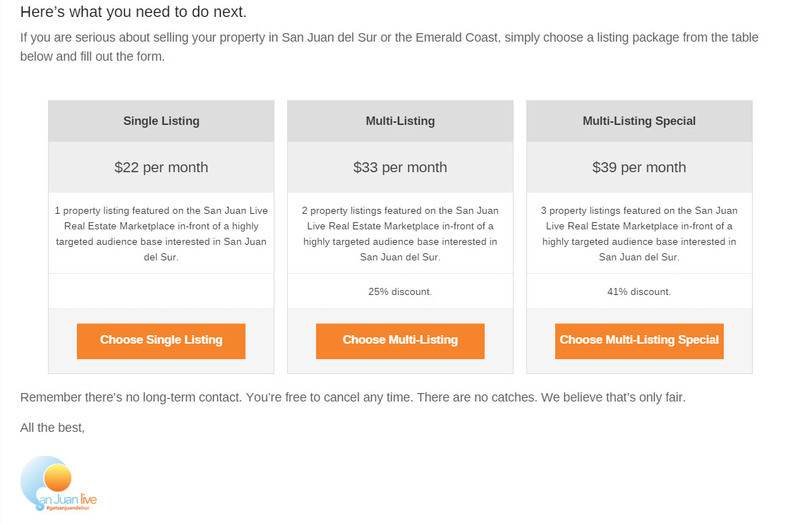 If you live in the Nicaragua area and are looking for detailed information on a property, San Juan Del Sur should absolutely be your first stop! Having said that, we are in the business we wanted to from quite sometime now, Templatic enabled us to implement our goals with a meaningful product and robust customer support backing it up. If you are stuck anywhere in your directory site, leave a comment below and we would be happy to help. Signup to get a free ebook and regular updates and freebies from templatic. Who is your Customer? How do you Recognize It?